The new tee has made this hole a true test of skill. 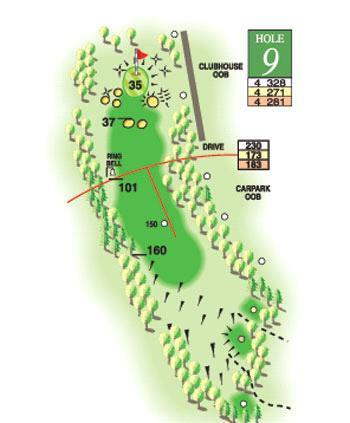 The player is faced with a steep slope immediately in front of the tee and so plays blind to a fairly narrow fairway with deep rough and bushes to the left and a new plantation to the right. The second shot is played to an unseen green over a large cross bunker with other bunker to right and left.